Qipa supports UniCredit Tiriac Bank, UniCredit and HOSPICE Casa Sperantei on the 3nd edition of the “1000 Balkan Charity Challenge”. Concurentul sustinut de catre noi, Florin Nastase este bucuros ca a reusit sa participe integral la aceasta cursa, sa ajunga la finish. Dupa un total de 1048 km parcursi, incluzand 412 km de alergare si 636 km de ciclism, Florin ne-a zambit fericit, in cea de a 11 a zi, cand a avut loc sfarsitul competitiei. 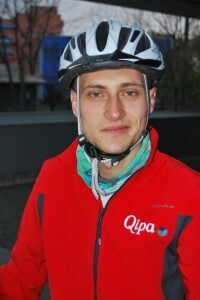 Florin, Qipa Team te felicita pentru efortul depus si pentru implicarea de care ai dat dovada!! 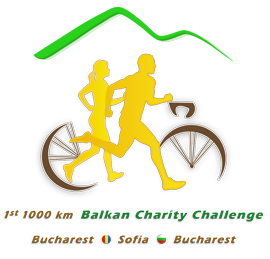 The 2nd edition of the “1000 Balkan Charity Challenge”, the unique charity multi-day cross-country ultra-duathlon, is taking place between 1 and 11 November 2013. The participants run and cycle through over 1000km on the territory of Romania and Bulgaria. Qipa, next to other companies and individuals contributes to the 18 social causes (12 in Romania and 6 in Bulgaria) supported this year. Qipa participation refers to sponsoring Florin Nastase’s participation: subscription fee, equipment, accommodation, food and transport. Social projects have been carefully selected along with the sponsors and include critical social spheres such as children, old people and disabled people care, education, talent development, poor people support. Last year EUR 24k were raised. HOSPICE Casa Sperantei is the main charity partner in Romania and this year is raising funds for providing 60 children with life limiting illnesses will with free specialized multisensory sessions, in order to alleviate pain and other distressing symptoms associated with the incurable disease and the severe physical disabilities in the new Hospice facility in Bucharest. The charity partner in Bulgaria is the Bulgarian Charities Aid Foundation. UniCredit entities in Romania and Bulgaria are the main sponsors of the event as part of the traditional annual charity Gift Matching campaign raising and matching tens of thousands of Euros for projects in the community where they operate.